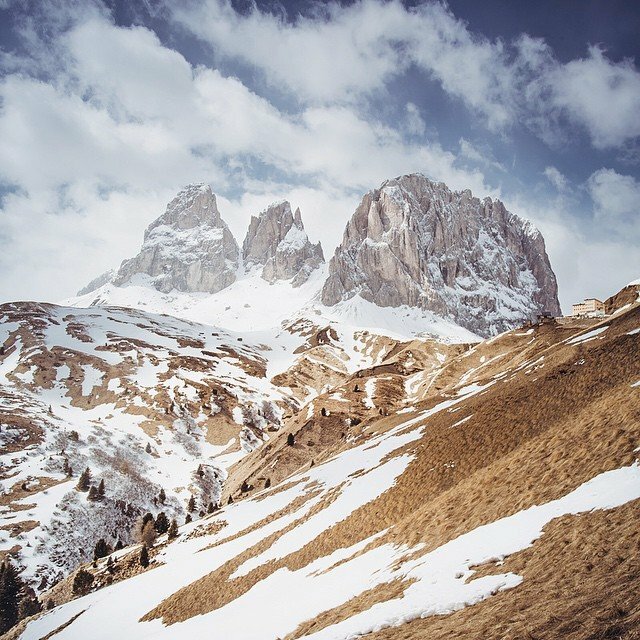 high noon in the Dolomites, Italy. can you spot the hotel? (edited with @litely) #? ?